Deutsche GRI is a gathering of senior level German and international real estate investors, lenders and developers. "It’s a lot more effective and creative than a typical panel, it’s a lot more conducive to an open and interactive exchange"
Paul is President & COO, and has over 20 years of experience in Real Estate Investment management in a wide range of operationally intensive real estate sectors including Residential, Commercial, Student housing and Hospitality. His career includes 8 years at KPMG working on global M&A, Restructuring and Transaction Service engagements worldwide. Paul later moved into an operational career, becoming COO at North Bridge Capital Partners. As President & COO - Paul has operational oversight of the entire Round Hill Capital Group and also heads up the Round Hill Group Executive Committee. Gerhard Meitinger is Managing Director at pbb Deutsche Pfandbriefbank and is responsible for the Real Estate Finance Business Germany. He has many years of experience in the German Real Estate and Lending business both with real estate professionals as well as international and institutional clients. The focus of his activities is the financing of real estate investments with single properties and portfolios. He also focuses on the financing of development projects in appropriate locations and adequate financing models. As European real estate markets face a credit crisis, opportunities to find valuable equity at modest yield returns inevitably causes concern in the German market. Still a safe haven for long term institutionals happy with modest growth, but for most, A locations are all but priced up and B, C locations are increasingly facing development and construction costs difficulties. Where does Germany go from here ? Encourage a longer play for institutional capital, sell hard, buy big or simply copy the rising populist mindset like it's struggling counterparts in the US, France and UK? The collegial discussions enable you to interact and engage - much like an after-dinner conversation in your own living room. Identify like-minded peers, build relationships, and continue the conversation afterwards. Anna Ginkel has 20 years of experience in Real Estate Finance ; thereof focusing on syndication since 2002. In October 2013 Anna became head of the Syndication Department at Aareal Bank. 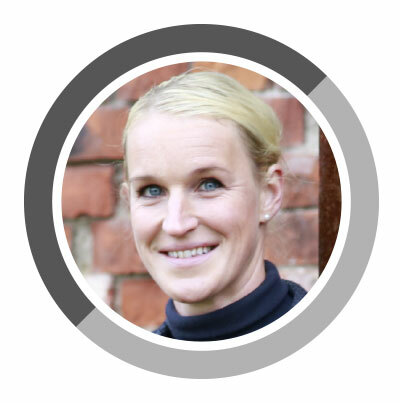 Before joining Aareal Bank and after working in various positions at Frankfurter Hypothekenbank (former Eurohypo), lastly being in charge of Syndication Execution & Agency, Anna was responsible for the set-up of the European Syndication desk at Westdeutsche ImmobilienBank. She has been directly involved in large-volume club-arrangements and syndication of a wide variety of real estate loans nationally and internationally. Ben Lehrecke is Managing Director at Round Hill Capital, responsible for European core residential and all asset classes German investments. Throughout his career of over twenty years in real estate, Ben Lehrecke has held numerous senior positions in acquisition, business development and management for the Pears Family Trust, KanAm Group, Tishman Speyer with a transaction track record of over €5bn. Ben holds a joined master in business management and engineering from Technical University Berlin and a master of real estate development from University of Southern California, Los Angeles. Gustav Kirschner, Head of Real Estate Finance, is responsible for German Real Estate Customers. In his more than 20 years of business experience Gustav has held various specialist and management positions within real estate. He studied business administration at University of Passau and is lecturing part time at Technische Universität München (TUM). Karl-Josef Schneiders, Ambassador Global Real Estate, is based in Frankfurt with more than 25 years of experience in the banking, asset management and real estate sector. Before joining Credit Suisse, he was a co-founder of Verianos AG, he held management positions at Corpus Sireo, Morgan Stanley, the retail group Metro and at Citibank. Mr. Schneiders is business graduate of the University of Applied Sciences in Trier, he holds an MBA from the University of Wales and an Executive MBA from the Zurich Institute of Business Education (CEIBS). Sascha Wilhelm launched the real estate company x+bricks AG in August 2018. The company is initially focusing on the German market and investing in food-oriented properties such as supermarkets, discount stores, and retail parks. Sascha Wilhelm studied law at Ludwig Maximilian University in Munich and obtained an MBA in International Real Estate Management in Germany, London and Zurich. Wilhelm was CEO of Corestate Capital Group until April 2018. Under his leadership, Corestate’s assets under management increased from less than EUR 5 billion to over EUR 20 billion. In 2016, he successfully took the investment management company public on the Frankfurt Stock Exchange, where it is now listed in the S-SDAX. Stuart has been working in real estate for over 33 years. He joined Rockspring Berlin in June 2001 and is responsible for all transactions and asset management throughout Germany, Austria and Switzerland. Stuart was instrumental in setting up the Rockspring German Retail Box and the Spitfire Funds, leading investors in retail warehousing in Germany. In total, he oversees over €2.25 billion AUM for Rockspring focused mainly on retail assets and more recently with a focus on logistics development and value-add office investment opportunities in Berlin where Rockspring has bought 7 office properties since 2016. Blackstone Buys - Betting on Office, Logistics or Residential? Germany & the Global Economic Slowdown - Deciding Europe’s fate? Technology vs Humanity - Data, AI and Us; The Case for Invisible Assets? Samir Amichi is a Senior Managing Director in the Real Estate Group and the Head of Real Estate Europe Acquisitions, based in London. Since joining Blackstone in 2011, Mr. Amichi has been involved in a number of Blackstone’s investments in Europe, including OfficeFirst, the Banco Popular portfolio, and the GE European portfolio. Previously, Mr. Amichi spent seven years in Goldman Sachs International real estate private equity group focused on equity and debt investment opportunities in Europe and two years at The Richemont Group overseeing the set-up and growth of its global real estate investment business. Mr. Amichi received an MS in Management from the HEC business school in Paris, where he majored in Economics. Michael Heise is Chief Economist of Allianz SE. He advises the board of Allianz SE on economic and strategic issues. He is responsible for analysis and forecasts of the German and the international economy and the financial markets and risk analysis. Heise studied and graduated at Cologne University and lectured at the European Business School in Oestrich-Winkel and at the Johann Wolfgang Goethe University in Frankfurt-am-Main. He is honorary professor at the Johann Wolfgang Goethe University. Before joining Allianz Group, Heise was Secretary General of the German Council of Economic Experts, Chief Economist of the DG Bank and Chief Economist and Head of Research at DZ Bank. Volker is a Partner at Amadeus, working on its early-stage funds. His investment focus is on AI, machine learning, human-machine interfaces, enterprise SaaS, autonomous systems, digital health & medical tech. As an entrepreneur, he has founded/ co-founded a total of 7 companies to date. He is currently a co-founder of Blue Beck, a mobile development house & a Venture Partner at Emerge Education, a leading EdTech accelerator programme. As an angel investor, Volker was amongst the first investors in companies like Pi-Top, Bibblio ( also Chairman of the board) & Wonde. His personal investment portfolio comprises about a dozen investments with companies based across Europe & the US. Are Niche Players Ahead in a New Office Game? Fates forever intertwined or better off apart? Or are we still stuck in Industry 2.0? our industry provocateurs give a short industry teaser on their personal views. Wohnraumentwicklung & steigende Baupreise - Ein Ende in Sicht? Micro, Mod, Aparthotels, und Co-Living - Zeit zum durchstarten oder abwarten auf mehr Liquidität? Berlin - Platzt die Blase? Student Housing - As easy as ABC or hampered by overregulation? Anreize für bezahlbares Wohnen - Umsetzbar oder bleibt es ein unerschwinglicher Tagtraum? Retirement, Healthcare and Assisted Living - No brainer fundamentals or operational headache? Joseph von Schaesberg joined CBRE in November 2005 and works as Senior Director in the Residential Investment Team in Munich. During the last years Mr von Schaesberg participated in all portfolio transactions (buy- and sell-side) advised by CBRE. He has a strong focus on the evaluation of properties and portfolios, the management of due diligence processes as well as investor guidance. Due to several internships Joseph von Schaesberg gained extensive work experience in different branches of the real estate sector prior to joining CBRE. Kruno Crepulja blickt sowohl auf umfassende Erfahrungen als Ingenieur, Bauleiter und Projektentwickler als auch auf eine 14-jährige Praxis in der Geschäftsführung großer Entwicklungsgesellschaften zurück – beispielsweise bei der Wilma Wohnen Süd GmbH. Seit 2008 ist er als Geschäftsführer für die Instone Real Estate-Vorgängergesellschaft formart tätig. Außerdem verantwortete er in den Jahren 2011 bis 2013 die Projektentwicklung von HOCHTIEF in Europa. Till A. Diekmann ist Leiter der Frankfurter Niederlassung der deutschlandweit tätigen CG Gruppe AG. In dieser Funktion verantwortet er vollumfänglich die Betreuung und Koordination der regionalen Bauprojekte des Unternehmens. Zudem führt und baut er das Mitarbeiterteam am Standort Frankfurt kontinuierlich aus. Herr Diekmann verfügt über langjährige Erfahrungen in den Bereichen Projektentwicklung und Asset Management. So war er u. a. als Geschäftsführer mehrerer renommierter Immobilienunternehmen im deutschsprachigen Raum tätig. 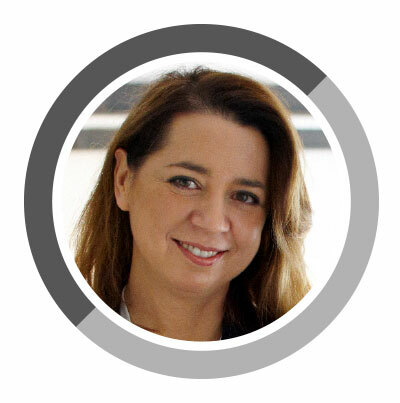 As Investment Director at The Collective, Jill is responsible for the firm’s fund raising, investment acquisitions, and strategic growth internationally. The Collective has developed the largest co-living community, a well-amenitized, fully-stabilized 546-bed asset in London, and is expanding internationally to be the best co-living provider worldwide. 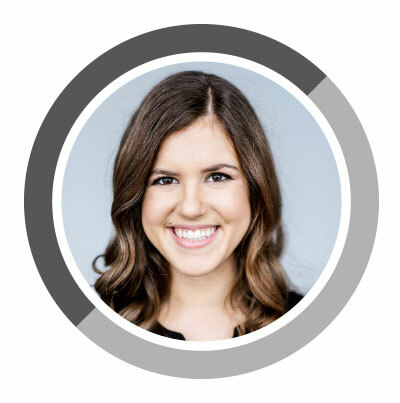 Prior to joining the Collective, Jill worked as Investment Director for Greystar overseeing its London student housing portfolio Chapter Living. Jill received her MBA from Harvard Business School and graduated from Peking University with a Bachelor of Economics. She was listed by Forbes as “30 Under 30” in European Finance. Matteo Ghedini is the founder and CEO of Brera Serviced Apartments. Matteo started Brera in 2013 by opening the first location in Nuremberg. Since then Brera expanded in Munich and Frankfurt and manages today ca. 150 Apartments. Born in Italy, Matteo started his career as a consultant at the Boston Consulting Group, attended an MBA at INSEAD and thereafter successfully completed the turnaround of a Real Estate Family Officein Germany. Passionate about Interior Design and about unleashing People´s talent, Matteo´s goal is to develop Brera to one of the most important long stay players in Europe. Since 2018, Xavier Scheibli is Portfolio Director at GSA, based out of Frankfurt. He has more than 17 years of experience in multiple RE sectors, both on the equity & debt sides. In his current role, he’s responsible for managing portfolios of PBSA assets in Germany & UK, maintaining a close relationship with all players in the capital stack. Prior to GSA, Xavier was a Director at LNR/Hatfield Philips, leading NPL underwriting activities in Continental Europe & the firm’s co-investment opportunities. Before joining LNR in 2013, Xavier served as VP at Hudson Advisors & held posts in the RE division of UBS Wealth Mgt, where he was involved in fund structuring, acquisitions & distributions to high net worth individuals & inst. investors. Mr Widhalm has been Head of Sales Department Real Estate Finance in the Berliner Volksbank eG since 2008. His responsibility lays at all corporate clients with more than 70 Mill. € revenue, the professional real estate market and the infrastructure market, including renewable energies. He is also Member of the Supervisory Board of the BBT, a company which consults many Berlin based companies owning residential properties, and of the VVBI Capital AG. Dipl. Kfm. and Immobilienökonom (ebs) Oliver Hecht is heading the Portfoliomanagement Division of Berlin Hyp AG. Since over 20 years Oliver Hecht has been able to gain solid real estate experience in different roles and companies throughout the industry. Besides having worked for commercial investors, developers and financial institutions in a leading role for over 15 years, he spends some of his spare time lecturing at the Akademie der Immobilienwirtschaft GmbH. Ulf Christiansen joined Rockspring, now Patrizia in 2011 and is responsible for acquisitions and sales of properties in Germany advising Patrizia funds in the German market. Ulf joined from Internos previously GPT Halverton where he worked for almost 5 years in London and Frankfurt. Since 2017 Global Student Accommodation Germany GmbH, Frankfurt & Lüneburg Director Acquisitions & Development. Acquisition and development of purpose build student accommodation schemes in Germany. From 2014 - 2016 International Campus AG, Team leader acquisition and development and Acquisition and development of purpose build student accommodation schemes in Germany. From 2014 at HOCHTIEF Projektentwicklung as Senior manager project development. From 2005 – 2013 he was at MPC Capital AG as Investment Manager Real Estate. From 2001 – 2004 at Jones Lang LaSalle GmbH as Senior consultant professional services. Christian graduated in 2001 from University of Leipzig. Michiel Olland, is an Investment Management Director at Collegiate AC and an Executive Director of BCRE - Brack Capital Real Estate Investments N.V. He is also the principal of MO Real Estate BV, an investment, capital and finance services firm based in the Netherlands. Between 1992 and 2012, he has had Executive Director roles in the international real estate sector, most importantly as global co-head of RE investments with APG Asset Management, Managing Director of Bouwfonds Property Finance International (an ABN Amro subsidiary) and as a real estate lender at ING Group. Franz-Josef Lickteig joined BPD Immobilienentwicklung GmbH, former „Bouwfonds“, in 2000 as Regional Director responsible for the activities in Rhein-Main-area. In 2009 he became CEO of the BPD activities in all of Germany with eight branches by now. Friedrich Einhoff joined Deutsche Pfandbriefbank AG (pbb) in 2006 and is a Director in the Loan Markets Real Estate team. Pbb is looking after large loan arrangement, loan trades (club and post, in and out) and structured solutions (incl. Mezz and Equity) for all global pbb exposures. Friedrich has worked for more than 20 years in the German banking industry with more than 15 years’ experience in the commercial real estate finance business. He holds a degree in business administration (Diplom-Kaufmann) from University of Mannheim. Klaus joined the European Catella Group in 2008 as Managing Director and is responsible for all real estate development projects in Germany. In 2015 Catella Project Management (CPM) was founded as an independent division direct linked to the Stockholm headquarter of Catella. Meanwhile CPM has realised or initiated project volumes of approx. 1.8 b EUR in commercial and residential properties. As Managing Partner Klaus is one of the shareholders of these development projects. The set-up of all Catella projects is based on sustainable and long-term oriented investments. Consequently the economic and ecological goals must be combined. Dr. Martin Hellweger is the CEO and Founder of the Kronberg International Group, which has several co-investments with, among others, conwert Immobilien Invest SE (Vienna) und Prelios S.p.A. (Milan). He has successfully concluded property and finance businesses with a transaction volume of 2.2 Billion Euros. In 2002 he established together with CONWERT a Joint Venture for purchase of property portfolios in Germany. In 2005 he established through a joint venture with PRELIOS S.p.A. a cooperate management platform. 700 Million euros were invested in apartment complexes, especially in Berlin. In the course of these Joint Ventures, KRONBERG have gained 450 Million Euros with Prelios, Conwert and Eco Business Property AG (Vienna). Caroline Gronack ist seit mehr als 15 Jahren in der Projektentwicklung und dem und Fonds- und Assetmanagement im In- und Ausland tätig. Seit 2015 ist sie bei Apleona und für den Aufbau des institutionellen Geschäfts der Apleona Fonds- und Portfoliomanagement verantwortlich.Caroline Gronack begann ihre Karriere als Architektin in Paris, wo sie verschiedene Büroprojekte namhafter Investoren entwarf und umsetzte. Nach einem Master im Real Estate Management begleitete Sie für CBRE Global Investors mehrere Projektentwicklungen in Mailand bevor Sie nach Frankfurt wechselte und dort Immobilienportfolien unterschiedlicher Asset- und Risikoklassen betreute. Mr. Maroš joined Helske Ltd in 2016 as a Head of Sales and Business Development for Europe. By then, he had already accumulated over 20 years of experience in the financial area on roles like: insurance advisor, soft skills and business communication trainer at ING-Nationale Nederlanden. business development, education and training at Mutual Fund company SFM Group, where he was responsible for the Slovakian and Czech Republic market. As addition to that, he also has worked at VUB Banka, as a Head of regional VIP sales advisers. Three years he spent as sales director and area manager in one of the biggest retail advisory company Fincentrum. Since 2011 he worked as a professional consultant, coach and trainer focused on the banking sector. Bricks 'n' Mortar Retail vs E-Commerce - Any success stories and what can we learn from them? Frankfurt & Brexit bedingter Wachstum - Wird der Eifer böse enden? City Logistics - Demand powered by tenants, asset prices or tech? Core gewerbliche Immobilien - Immer noch attraktiv oder sind konjunkturelle Anforderungen zu stark? Chris Fritz, is an Investment Director at Orion Capital Manager’s London office and is responsible for deal origination, underwriting and asset management with a focus on the German market. Prior to joining Orion in 2014, Mr. Fritz served as Investment Manager with Resolution Property from 2008 to 2014 where he worked on acquisitions and value-added initiatives on portfolio assets in Poland, Denmark and Germany. Prior to joining Resolution Property, Mr. Fritz was an associate for the real estate group in the London office of Lehman Brothers from 2005 through 2008. Mr. Fritz is a native German and English speaker and holds First class honours degree in International Business with French from Warwick Business School. If we believe that the future of retail is really all about online, what strategies might businesses adopt to survive the oncoming onslaught? Should we embrace disruptive tech, or shall we sit back, relax and argue that online services can never substitute the in store, physical experience?. Kasia from Yosh.AI says yes to online! - With her disruptive interactive retail AI that replaces sales assistants with an online advisor, thus, blurring the lines between off- and online in the discussion “Bricks ‘n’ Mortar Retail - Any success stories and what can we learn from them?”. Christian Sundquist joined Aberdeen Asset Management in 2015. In his role as Senior Transactions Manager he is responsible for acquisitions and sales for Commercial Properties in Germany. He has more than 16 years professional experience in real estate business and is specialised in Transactions and Asset Management. Previously he was in various positions e.g. he has been working for DG ANLAGE and being responsible for Fund-, Asset- and Investment Management. Mr Frank Forster joined EQT Partners in September 2015. Prior to joining EQT Partners, Mr. Forster was part of Mount Kellett’s European real estate team, involved in transaction across all real estate asset classes, with a focus on Germany and Spain. Prior to that, Mr Forster worked at Strategic Value Partners (“SVP”) and Blackstone. He graduated 2001 from European Business School in Germany. Peter Junghänel is a partner in Goodwin’s Real Estate Industry group and a member of its Real Estate Joint Ventures, PropTech and Real Estate Finance practices. His practice focuses on acquisitions and sales of real estate properties via share and asset deals, sale and lease-back transactions, commercial leases and all other property-related transactions and contracts. He also has considerable experience in corporate transactions such as mergers and acquisitions, MBOs and other private equity-related transactions, and commercial contracts. He regularly advises a wide range of international and domestic German clients, including open- and closed-end real estate funds and family offices. Diplom-Volkswirt und diplomierter Immobilienökonom (ebs) Erik Marienfeldt hat über 20 Jahre Immobilienerfahrung und war bereits während seines Studiums für ein Hamburger Immobilienunternehmen tätig. Er ist seit 1997 für die HIH in unterschiedlichen Positionen tätig. Seit 2005 ist er Geschäftsführer bei der HIH und nimmt gleichzeitig die Rolle des Aufsichtsratsvorsitzenden bei der Warburg-HIH Invest Real Estate sowie der IntReal KVG wahr. Somit überblickt er ein multinationales Immobilienportfolio von über 24 Mrd. Euro. 15 experience as Architect, e.g. CEO of firm of architects with award winning architecture (Award for best high-rise building in Middle East Africa in 2009 by CTBUH, Chicago). Several years as leading Asset Manager (Babcock & Brown), responsible for acquisition and management of German and International portfolio of more than EUR 600mln. Since 2009 Managing Director within leading developers in Germany (e.g. CENTRUM). Responsible for organization, acquisition, development, deal structure and fund raising for projects in a volume larger than EUR 1bln. Since 2018 entrepreneur investing in various companies like H2 Industries and CADMAN (in progress) and establishing own development platform with network of strong partners. Heiko joined WeWork in November 2018, heading the Real Estate department for Northern Europe and Central Eastern Europe from Berlin. Prior to joining WeWork, he spent 12 years at Cushman & Wakefield as a member of the German Executive Board, Business Unit Head of Office Agency Germany and Head of the Berlin office. Heiko has handled numerous complex transaction projects for national and international clients. Before to joining Cushman & Wakefield, he worked as a Senior Consultant in the office letting department of Aengevelt Immobilien GmbH & C. KG. He completed his training as a business graduate with a focus on real estate management and real estate management at the Chamber of Industry and Commerce (IHK). James Bauer MRICS is the Country Managing Director at Duff & Phelps REAG GmbH. He has experience in transaction advisory, development, as well as asset management of commercial buildings, office buildings, portfolio strategy and valuation. He holds a MBA degree from City University and is a member of various national and international organizations and a speaker at conferences. Prior to joining REAG in 2004, he worked with CALLISTON development company as a manager responsible for acquisition, development and asset management of commercial properties. Before coming to Germany in 1990, he worked in the field of real estate in the USA. He’s a registered valuer with the Royal Institution of Chartered Surveyors. Michael Morgan joined CA Immo Deutschland GmbH in 2017 as Group Co-Head of Investment Management and managing director of the German operation. He will jointly oversee investment management across the CA Immo group, with a particular focus on Germany. Michael has over 20 years of experience in asset management, investment management and development having held various managerial positions within the German real estate market. Prior to his arrival at CA Immo he served as International Partner and Head of Investment at Cushman & Wakefield’s Frankfurt office. Morgan studied Real Estate Management at Oxford Brookes University and Real Estate Economics at the European Business School in Östrich-Winkel. Nikolai Worp is Executive Commercial Director of EDGE Technologies in Germany being responsible for the Commercial Development activities. Nikolai Worp’s real estate career started in 1992 in New York City as investment broker at DTZ/CB Commercial. In his career Mr Worp executed a broad range of international real estate transactions and developments. His teams advised on and executed well over € 3,5 billion in complex transactions, developments and portfolio optimizations. Nikolai Worp holds a bachelor’s degree in economics from Columbia College, NYC, and earned a Masters of Business Administration from Columbia Business School in 1999. Rainer was appointed Managing Director of Investa Holding GmbH in 2012. He is responsible for its Investment/Asset Management in Germany. Prior to this, he was the CEO of GE Real Estate Germany since 2006 and former CEO of Investment Management platform Sireo, which he built up. Before this, he was member of the Management Committee of Sireo Real Estate Asset Management and Head of Sales and Placements. Past positions also include Head of Asset Management of DeTeImmobilien and the corporate M&A group in the headquarters of Deutsche Telekom AG. Rainer holds degrees in Law from Bonn, Berlin University and WHU Koblenz. Stefan Klingsöhr is Managing Partner of Klingsöhr Group, Berlin. He has more than 20 years of experience in real estate management and business administration services for institutional and private investors, covering the asset classes "residential", "commercial", and "healthcare." Prior to the formation of Klingsöhr Group, Stefan Klingsöhr headed the fund concepts division at Dr. Böckmann & Partner. Afterwards, he was head of the project development division at Rentaco AG. Some say the rise of proptech and multi-tenant workspaces boost the integration of service aspects in offices, similar to the residential and retail markets in recent years. But how will tenant’s demands change in the future and will the new office concepts be able to survive a slowdown in the markets? In the discussion “Office Developments - How much depends on mixed use schemes?”, Stephanie focuses on how to deliver on changing tenant’s needs such as tech startups. Herr Georgiev verantwortet als Geschäftsführer den Bereich Projektentwicklung der Hammer Firmenfamilie. Er ist mit seinem Team für die Akquise, die Strukturierung, die Baurechtsschaffung, die Vermarktung und den Verkauf von Immobilienprojekten verantwortlich. Die Entwicklung von Grundstücken und die Investitionen in bestehenden Value Add Objekten mit einer Manage to Core Strategie gehören ebenfalls zu seiner Tätigkeit. Herr Georgiev hat davor diverse Projekte in den Bereichen Projektmanagement, Controlling und Transaktionsmanagement erfolgreich abgeschlossen. In Österreich, Japan, Russland und Bulgarien war er in der Immobilienbranche in unterschiedlichen Positionen wirkend. Christian Jamison is the managing partner of Valor Real Estate Partners LLP, an investment and asset management platform focussed on logistics & industrial real estate in Europe. Christian formed Valor in 2016 with Jeffrey Kelter & Robert Savage, the founders of KTR Capital. Previously Christian established and served as CEO until 2016 of Delin Capital Asset Management and he was formerly an Executive Director within the RE structured finance group at JP Morgan. Christian began his career in 1997, he was an M&A banker at Credit Suisse First Boston before specialising in RE investment at GE Capital from 2002. Rainer Kiehl arbeitet seit 1986 für die Firma UPS. Bis zum Jahr 2015 war Herr Kiehl in der Funktion als Niederlassungsleiter an verschiedenen Standorten in Deutschland tätig. Während der Zeit in Hamburg entwickelte Herr Kiehl das „Hamburger City Logistik Modell“. Seit 2015 ist Herr Kiehl Projekt Manager City Logistik bei UPS und in dieser Tätigkeit verantwortlich für die Weiterentwicklung unterschiedlicher City Logistik Modelle. Kewitz works with the German team to manage the continued growth of P3’s German portfolio. He has significant experience in the sector having held top positions at Ixocon GmbH and Garbe Logistic AG. Most recently, he successfully led Panattoni as Managing Partner. Anton Thomas Schöpkens has been working in the real estate industry over the past two decades. After working as a consultant, Schöpkens joined the controlling of the WCM Beteiligungs-und Grundbesitz AG in Frankfurt in 2004. Due to the sale of WCM in 2005 he joined the Vitus group and became group director responsible for controlling and accounting. In addition, he was appointed as the board chairman of the supervisory board of the GEWG mbH in Wuppertal in 2009. From 2012 to 2015 he was Interim- / Deputy CFO of the Vitus group and accompanied the sale to Deutsche Annington Immobilien SE. Since 2015 Schöpkens is the CFO of 6B47 Germany GmbH. Hans Hammer studied civil engineering at Munich's Technical University and gained his MBA at INSEAD. In 1998 he took over the management of the Hammer Group and has been CEO of Hammer AG since 2002. Heinz Joachim Kummer is a partner of CMS Germany with more than 25 years of in-depth experience in the real estate sector, having advised on various landmark deals and projects. His expertise includes the full range of commercial real estate law with the focus on complex real estate transactions, structuring and advising private equity and other real estate funds. Before joining CMS, Heinz Joachim was a partner at Freshfields Bruckhaus Deringer LLP for over 20 years. Heinz Joachim is recognized as a leading real estate lawyer in the current issue of The Who’s Who Legal 2017. The same is true for the major legal directories. Matthias Heimann is Executive Director Debt Finance of CORESTATE Capital Advisors and responsible for the Senior Debt unit as well as other object-based alternative financial instruments in Germany and abroad. Previously, Matthias was Regional Director at the DG Hyp subsidiary in Frankfurt where he was in charge of, among other things, the acquisition and account management of national and international commercial real estate customers. He has more than 20 years of real estate & financing experience, including positions at Lloyds Banking Group & DAL Structured Finance GmbH/HSH Nordic Finance AB. Matthias holds a degree in banking of the Bank Academy in Frankfurt and a master’s degree in real estate management of the University of Freiburg. 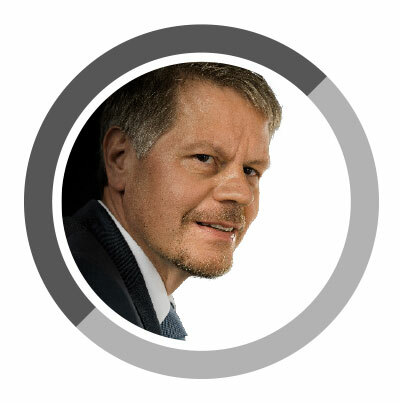 Dr. Matthias Mittermeier is founder and Managing Partner of Commodus. He has many years of experience as a lawyer specializing in corporate law. Since 2014, he has also worked for the law firm GLNS in Munich. He previously worked as a lawyer in the law firms Noerr in Munich and Berlin and Dissmann Orth in Munich. Dr. Matthias Mittermeier graduated in law at the Ludwig-Maximilians-University Munich (LMU) and subsequently did his doctorate at the University of Potsdam (Dr. iur.). Patrick founded caleus capital investors together with Dr. Ulrich Weber in 2010. Since then, caleus has grown into a preeminent investor and asset manager in ‘manage-to-core’ strategies for real estate situated in Berlin and across Germany. Patrick started his career in 1993 at the Berlin based BAUWERT Property Group where he became partner in 1994. In 2000, Pramerica bought the majority of his company that later merged with the Apellas Group founded by Ulrich Weber together with Soros Real Estate Investors in 2003. Senior Debt - Niemals besser oder time to "mezz" it up? Private Equity - Headline returns or investing only for the show to continue? Stefan WalldorfCerberus Global Investments B.V. The Investment Cycle - Is a price crash just what the Doctor ordered? Finanzierungsfonds - Ertragswachstum trotz wachsender Konkurrenz? Rising Interest Rates - Capital and yield growth, can we have it all? Ver-/Kauf Strategien fuer Einzelassets - Sind off-Market Deals die Zukunft? Christian is a founding partner of Waterway Investments, manages the Frankfurt office and is responsible for all aspects of the transaction process on behalf of Waterway’s international client base. Prior to co-founding Waterway, Christian has worked for various American opportunity funds as well as German open-ended fund vehicles. He received a Master ´s in Economics from Freie Universität Berlin/Universidade de São Paulo, Brazil and a Master´s in Real Estate Economics from European Business School (ebs), Germany. Christian is fluent in German, English, French and Portuguese. Frank Steffen has been working within the property financing sector since the mid-1990s. In his role as Senior Director International Clients, Germany he is responsible for originating and structuring commercial real estate transactions for international customers of pbb. His previous roles also include the responsibility of the Russian business, underwriting of European real estate transactions and Restructuring of critical facilities with a focus on UK, CEE & Asia. Guillaume BERNARD has been active in the real estate finance markets for more than 10 years. He started his career at Société Générale in Frankfurt in the Debt Capital Markets and then moved to the Real Estate Finance. He joined NATIXIS in 2012 in the real estate finance origination team. Kean Hird oversees Catalyst Capital's activities in Germany and Poland along with fund raising and investor relations. Catalyst Capital purchases, develops and manages a significant portfolio of retail, office and industrial assets in Europe. Since its inception, Catalyst Capital has invested more than €5.8 billion in 60 real estate transactions in nine countries and has approximately €1.4 billion of assets under management. Kean began his career at Townsend Thoresen Properties and then subsequently spent 13 years with Imry Group Plc, before becoming MD and principle shareholder of Frame Investments. As Director at Hamburg Commercial Bank Michael Windoffer is responsible for the Bank's real estate cross border business with a focus on international investors active in Germany. The bank provides financing for existing properties and portfolios as well as for residential and commercial developments. Michael Windoffer has more than 20 years of experience in banking and international real estate finance, both on the origination and the credit side. He studied Economics in Hamburg and Cardiff. Robert is a Member of the Royal Institution of Chartered Surveyors beginning his career at Matthews & Goodman, specialising in hotel advisory work for brands from Hilton to Campanile, before joining Whitbread Hotels in 2002 as Strategic Development Manager for Marriott and Travel Inn (now Premier Inn). In 2004, Robert joined Travelodge and developed a growth strategy for the expansion within the M25 taking the company from 11 to more than 70 hotels. He left Travelodge in 2016 to become Property Director of Lenta Business Centres before joining Techspace as Chief Real Estate Officer in 2017 to lead the group's European expansion. Andreas Wuermeling is Head of the business area Loan Markets Real Estate and Public Investment Finance and has worked for HRE Group since 2006. The Group is looking after large loan arrangement, loan trades (club and post, in and out) and structured solutions (incl. Mezz and Equity) for all global pbb exposures. Andreas has worked in this and similar roles, but also on the securitization side for 15 years. He is a qualified lawyer for German Law. Located in BayernLB’s office in Frankfurt, Gunnar Rüffer is responsible for international real estate clients. Before joining BayernLB he was heading the Loan Sales and Securitisation department within Eurohypo’s Debt Capital Markets division. Altogether he can look back on a more than 25 years ofreal estate banking experiences. Prior to joining Eurohypo in 2002 he worked as an analyst within the CRE Structured Finance sector at Dresdner Bank New York Branch. Michael Ziegler is an attorney and partner of Beiten Burkhardt. He is trained as a banker. Michael heads the firm's finance practice and specialises in banking and financing transactions - in particular real estate finance, project finance and restructurings. He advises German and international lenders as well as sponsors on complex cross-border financing transactions. In addition, he has extensive experience with real estate acquisitions and project developments. Dr. Verwiebe is a vice president at Helaba’s real estate finance (sales) division with a focus on Germany and Austria. Before joining Helaba in 2008, he worked as an attorney at law at Clifford Chance's Real Estate and Banking Finance Divisions for several years focusing on major UK and US Clients active in the German market and introducing the then new standards of securitised loans to German banks and investors. Ralf has worked on a wide range of financing transactions with more than 15 years of professional experience in the European real estate and banking finance business, both on the legal and commercial origination side. Joseph has over 20 years’ experience in the real estate industry across Europe and North America. Joseph joined Benson Elliot in 2008 and co-heads all investment and asset management activity. Before joining Benson Elliot, he was a Managing Director at Fortress Investment Group in Frankfurt, Germany where he built and managed a team of 40 real estate professionals with investments of €5.5bn, and led c. €700m of exits and re-financings. Prior to joining Fortress, Joseph was a Vice President at Oxford Properties Group in Toronto, Canada and worked at Borealis Capital Corp, where he managed a C$3.8bn retail investment business. Richard joined Activum SG Advisory GmbH in January 2011 as a managing director with a specific focus on acquisitions and dispositions. Activum SG, is a fund management platform focused on investing in niche opportunities in European real estate related sectors. The portfolio includes diversified assets, such as office value add, residential (re-) development, turn around retail, mezzanine loans, and special corporate situations. Previously Richard worked at Apellas Asset Management where he had a wide range of responsibilities including acquisitions, asset management, leasing and dispositions. Richard has been working in the real estate industry since 1991 and is a Member of the Royal Institution of Chartered Surveyors (MRICS). Managing DirectorCerberus Global Investments B.V.
Stefan Walldorf is a Managing Director in Cerberus' European Real Estate Group responsible for the firm's acquisitions in Germany, BeNeLux, CEE and the Nordics. Since joining Cerberus in 2006, Mr. Walldorf has been involved in a wide range of transactions in Europe. He has sourced and advised on a number of real estate opportunities, including acquisitions of commercial properties, restructurings and loan portfolios. Prior to joining Cerberus, Mr. Walldorf worked in Eurohypo's structured real estate finance division focusing on multinational and institutional clients and structuring financing transactions in commercial and residential real estate. Stephan Schlomberg is a Vice President at Starwood Capital Group, where he focuses on the origination and execution of real estate investments across Germany, Austria, Switzerland, and CEE. Prior to joining Starwood in 2013, Stephan worked in the Real Estate, Gaming, and Lodging coverage group at Bank of America Merrill Lynch. Daniel Werth is managing director for MOMENI’s investment and asset management businesses. After graduating in business administration in Hamburg, he gained a masters in real estate investment and finance from Henley Business School at the University of Reading and completed further executive education in private equity at London Business School. Before joining MOMENI Group in 2014, he was a director at German asset management firm HIH, in the network of M. M. Warburg & CO, responsible for national and international asset management mandates and strategy development. Markus Reinert FRICS is the Chairman of the Executive Board / CEO of IC Immobilien Holding AG. IC Immobilien Group is one of the largest independent full-service-provider for commercial real estate in Germany. Markus Reinert FRICS is a real estate professional with thirty years experience in the national and international real estate sector, working in a variety of international roles and positions, mainly at Cushman & Wakefield LLP and Jones Lang LaSalle (JLL). Burkhard Schlickenrieder is Managing Partner of Lenwood Capital, a debt investment manager investing instititutional capital across the entire financing structure in mezzanine, junior and senior loans secured by real estate covering almost all asset classes. He has a backgroud in structured finance, investment banking and in the planning & construction business, with former positions as an architect and afterwards in the financial industry at Hypo Vereinsbank (HVB), Hypo Real Estate (HRE) and REFTA. Burkhard Schlickenrieder holds an MSc in Philosophy from the London School of Economics and Political Science (LSE) and a Diploma in Engineering/Architecture from Dortmund University. Dieter Koch joined the NORD/LB in 2001 as Head of Real Estate Investment Banking (REIB). He took over the same function at Deutsche Hypo after it was acquired by the NORD/LB in October 2008. The focus of the department is on the support of large international customers, arranging structured finance, portfolio and acquisition finance as well as structured alternatives and financial advice. Dieter Koch and his team can present higher business volumes by integrating Structured Financing Alternatives. Combining regional expertise with high structuring know-how and linking objectives of clients with those of potential investors, REIB provides an optimized use of available resources. Ruprecht founded Albulus, an investment advisor to the Albulus CREDIT fund and several separately managed accounts, in 2011. Albulus is actively acquiring sub-performing and non-performing CRE loans on the secondary market with a focus on the DACH region. In 2004 together with the Soros Real Estate Partners he founded one of the first NPL investment platforms in Germany. Ruprecht has 25 years of real estate investment experience. His career started with Gerald Hines as a project manager for a major development in Berlin. He holds a diploma from Hochschule St. Gallen and a MBA from the University of Chicago. He holds a Ph.D. from the University of Vienna in BA, specializing in real estate. Georg has 20 years of experience in investment banking and real estate asset management in London, Frankfurt and Hong Kong. Before joining Kalrock as a Partner, Georg was on the board of directors of Market Tech, a London listed estate accumulating 20 acres in Camden Town, as well as in investment banking with UBS and Deutsche Bank, advising transactions with over €15bn of value. Ulrike is a Principal at GreenOak focusing on debt origination for European markets. She has 16 years of experience in the commercial RE sector. Prior to joining GreenOak, Ulrike worked as a Director for WestLB AG advising on various corporate finance projects and for its affiliated RE fund business where she oversaw the asset divestments efforts in Germany and was involved in daily asset management and investor reporting activities for the funds. Ulrike started her career in 2000 as an analyst within Goldman Sachs’ European Principal and Structured Finance Group in London. From 2004-2008 she worked as a Director for Lehman Brothers’ Global Real Estate Group. Ulrike holds a European Masters in Management with distinction from ESCP-Europe. Assem El Alami is the Head of the Real Estate Finance Sales Division of Berlin Hyp AG. He is supervising the origination of real estate finance in the bank's European core markets and the syndication desk. Berlin Hyp provides financing for large scale property projects and real estate investments. Being a law graduate, Assem has more than 20 years of experience in the real estate sector of which he has spent almost 10 years in France. Helge Pitz joined Continuum Capital in 2018 as Managing Director. From 2013 to 2018, he occupied the position of Senior Vice President in the Real Estate Financing Team at HCOB-Bank AG (formerly HSH Nordbank AG) in Hamburg. Helge specialized in acquisition and development financing for foreign institutional investors for properties across all German regions. Between 2000 and 2012, He worked with Eurohypo AG in Frankfurt, focusing on the origination and selling of large real estate loans as part of the Debt Financing team. Helge is also a fully qualified lawyer and graduated at the University of Trier. More than 17 years national and international professional experience in the European lending business, covering several roles as Senior Relationship Manger and Credit Manager. Markus Wehnelt is a Managing Director and Head of Real Estate Finance Germany Institutional and Private Equity Clients for Germany at pbb Deutsche Pfandbriefbank. He has many years of experience in the German Real Estate and Lending business in financing complex real estate transactions. In the past years, Markus and his team successfully completed a large number of transactions. Stefan Niggl is a trained Banker and carries a master's degree in business from Ludwigs-Maximilian Universität (LMU) Munich. He works for more than 25 years for UniCredit Bank AG (and its predecessor organizations) in various positions: Corporate finance, Securitisation, Lease Asset Finance, Structured Transactions & Investments, Illiquid & Special Assets, Hedging Solutions, Principal Investments and held various board mandates of UniCredit subsidiaries. José Holgado is Managing Director Commercial Real Estate at FMS Wertmanagement (FMS), the German winding-down agency for the nationalised Hypo Real Estate. Mr. Holgado has more than 25 years of experience in the banking sector and thereof more than 17 years in international Real Estate finance. Prior to FMS Mr. Holgado held positions at different German banks, namely Eurohypo (Commerzbank Group), Aareal Bank, IKB, Allgemeine Hypothekenbank Rheinboden and Nord/LB. His experience includes workout, restructuring, syndications, origination as well as risk management of real estate financings all over the world and of any type of assets (office, shopping centers, hotels, warehouses, residential, etc.). Karsten is a founding partner of Waterway Investments. Having lived almost half his life abroad, while covering the German property market as investment manager for various international opportunity and private equity funds, Karsten is responsible for all aspects of the transaction process on behalf of Waterway’s international client base. Karsten has a Diplom-Kaufmann from European Business School (ebs), Oestrich-Winkel and an MBA from Katz Graduate School of Business, Pittsburgh. Karsten speaks German, English and French. Torsten Bickart is Managing Director (MD) for the Branch “Large Clients” within Real Estate Germany in the UniCredit Bank AG in Germany. Until summer 2012 he was a MD and head of Portfolio Finance at Unicredit and before that an Executive Director at UBS Investment Bank responsible for the German real estate finance business. Torsten Bickart has almost twenty years of business experience in originating and executing complex real estate transactions in the German real estate market including large scale residential portfolio financings, office and retail portfolio acquisition financings and landmark single asset transactions. His client focus lies in stock-listed companies, special funds and international investment managers. Real Estate & The Blockchain - Where will tokenisation take us? Light Industrial - Techno rule or space shuffle? In 2012 Claudia co-founded KIWI, the secure solution for keyless access, a B2B PropTech business in the real estate industry. At KIWI she leads the finance, operations and technology teams. Since 2012 she is very active in the Berlin Start-up scene and beyond. In February 2018, she founded the PropTech Company Builder High Rise Ventures, which aims to advance the adoption of new technologies in existing buildings. Beyond her knowledge focus on high tech and smart buildings Claudia is actively contributing to the digital inclusion of women in tech and advancing new leadership styles. Natural light to improve productivity and well being; Heavn one is the world's first product combining light for visual tasks and the biological effect of 10,000 Lux in one minimalist design. As a smart device, it can dynamically recreate the natural spectrum of the sun - changing color, intensity, and direction of light automatically over the course of the day. We transform temporarily unused commercial space into flexible workspace for start-ups and coworking, thereby solving a pain point of real estate players. Through our tech platform we integrate smart building applications and manage spaces to optimize for flexibility. RYSTA is a Berlin-based IoT startup offering a smart data monitoring solution-as-a-service. Data transparency serves 1) for mold prevention in newly build or energetically renovated residential buildings and 2) for optimizing processes on construction sites. Brigitte Luginbühl is a real estate expert with more than 10 years of a strong track record in Real Estate Corporate Finance and real estate M&A. She has been with the global market leader Jones Lang LaSalle in Switzerland and London. She managed numerous large-scale and complex real estate transactions with a volume of >CHF 1bn in total and was project leader of many valuation projects including recurring large portfolio valuations with a volume of >CHF 9bn annually. She is the youngest female member of Efficiency Club. She holds BA and MA in Economics Business Administration from University of Zurich, Switzerland. Dominik is a young entrepreneur from Italy focused on realizing the Machine Economy. Already since an early age he was involved heavily in the Blockchain ecosystem. He is the Co-Founder of IOTA, a disruptive new technology that enables machines to store and send money frictionlessly between one another. In 2017 he co-founded the IOTA Foundation and established Germany’s first non-profit foundation which enables and fosters permissionless ecosystems powered by distributed ledgers. Currently he co-leads the IOTA Foundation and oversees the overall realization of the vision and the partnerships with multinational companies, NGO’s and governments. Roland Farhat is head of Audit Real Estate at DekaBank, a Top-10 European asset manager, and has 20 years of real estate investment and development management experience. At Deka, Roland is responsible for the audit business of the real estate organization with a € 35bn international real estate portfolio. Prior to Deka, Roland was in charge of the real estate management advisory business at PwC in Frankfurt. Over 20 years Roland has built up a € 250 million residential and commercial real estate projects portfolio. Roland holds an MBA and studied at Harvard BS, Saïd BS, IESE BS and University of Augsburg. Roland has successfully completed the Oxford Blockchain Strategy Programme. He is founder member of Oxford Blockchain Foundation. Stephan Rind is Co-Founder and Chairman of EUREAS Group AG (European Alternaive Assets), investing in selected real estate and infrastructure projects in Germany, Austria and Switzerland. Prior to the foundation of EUREAS, Stephan Rind was President and CEO of OTI Greentech AG in Switzerland from 2011 till 2014. From 2003 till 2011, he was founder and CEO of Colonia RE, one of Germany’s largest listed residential real estate companies. Rind was the co-initiator of the Federal Association Alternative Investments (BAI) and co-founder of the Institute of the German Property Sector (Institut der Deutschen Immobilienwirtschaft – IDDIW). Danilo Hunker is responsible for managing the local office in Berlin and driving investment strategy and asset management for Germany. Danilo has over 20 years of experience in commercial real estate in Germany. He is former Head of Germany at Valad Europe /Cromwell Property Group, where he was responsible for the investment and asset management of a combined portfolio of up to €1bn, working very closely with some of the world’s largest private equity businesses. Danilo holds an MBA in International Real Estate from Bauakademie Biberach and a Bachelor of Commerce (Real Estate) from the university of applied science in Berlin and is a Member of the Royal Institution of Chartered Surveyors. David is a Director responsible for commercial mortgage originations in continental Europe. He joined the company in 2012 to help advise on the European mortgage lending initiative. Prior to his arrival, David worked with Deutsche Pfandbriefbank AG in London where he was part of their Global Real Estate Workout Group. Prior to that David held a restructuring role within the UK NAMA Unit - Anglo Irish Bank, also in London. David started his career in audit with KPMG based in Frankfurt, Germany. David received a BA (Hons) in Economics with German from The University of Nottingham and is a Chartered Financial Analyst charterholder. Born in 1964. Degree in physics from the Technical University of Berlin. Until 1997 Research. 1997-1999 Redevelopments in Berlin. 1999-2005 Managing partner of the Linie Projektmanagement GmbH & Co. KG. Since 2005 BEOS AG as head of acquisitions - since 2016 board member. Since 2009 Lectures at IREBS, DVFA, University of Wuppertal, TU Berlin, etc. Since 2017 head of crenet Deutschland e.V. Will the rise of robots, drones and big data create a new era of warehouses? Whilst some see tangible business value in the digitisation and automation through the supply chain, most developers and investors struggle to move beyond the hype. What then for the future? Dr. Julia Bendul from RWTH Aachen University will answer some of these questions concerning Industry 4.0 in the discussion “Light Industrial - Techno rule or space shuffle?”. Seit 2004 hat Herr Bosselmann eine Zulassung als Rechtsanwalt, seit 2007 ist er Geschäftsführer und seit 2019 Vorsitzender des Bundesverbandes Paket und Expresslogistik e. V. und verschiedene Beiratsfunktionen (u. a. BMUB, BMVI, BVL). make the most of your GRI Experience. to meet has never been easier. matchmaking algorithm for infrastructure leaders. in the world Real Estate market! At Goodwin, we partner with our clients to practice law with integrity, ingenuity, agility and ambition. Our 1,000-plus lawyers across the United States, Europe and Asia excel at complex transactions, high-stakes litigation and world-class advisory services in the technology, life sciences, real estate, private equity, and financial industries. Our unique combination of deep experience serving both the innovators and investors in a rapidly-changing, technology-driven economy sets us apart. CBRE is the world’s largest commercial real estate services and investment firm (in terms of 2018 revenue). The Company has more than 90,000 employees and serves real estate owners, investors and occupiers through more than 480 offices worldwide.